The mom-and-pop shop has another location in Chino, and recently opened an outpost in the heart of Old Town Pasadena. 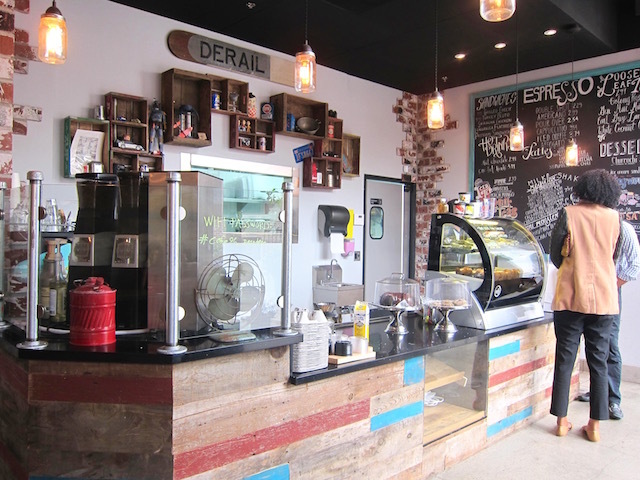 On the cafe&apos;s website, it says, "We hope to introduce the community to our own &apos;out of the box&apos; style of coffee and tea by infusing our Filipino culture to our foods." And indeed, Filipino-influenced cuisine is sprinkled throughout their menu, in the form of Longanisa Flatbread and their many ube pastries. They also have a long list of unique lattes, loose leaf teas and sandwiches. On a good day, you might even get a chance to sample their Thai Tea Brownies or Matcha Brownies. 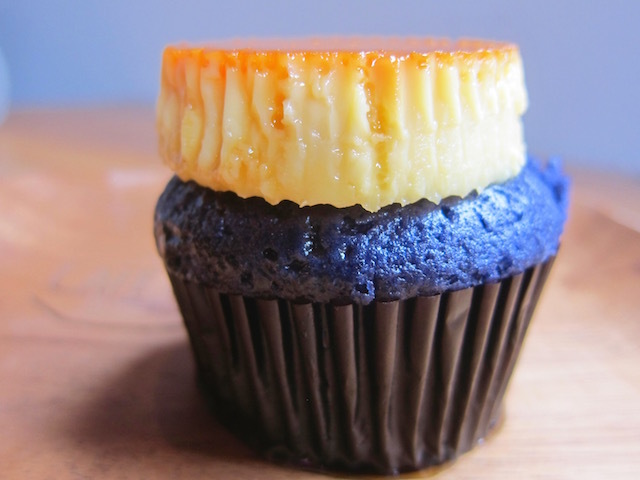 One of their most popular (and Instagrammable) desserts is the Ube Leche Flan Cupcake. The cupcake, which has house-made ube halaya, has a beautiful, vibrant purple color, and is moist and not overly sweet. Instead of frosting, it&apos;s topped with leche flan, which gives it an added varied texture of a creamy custard. The thing about Cafe 86&apos;s ube desserts is that every day is different, and while you may be able to get the Ube Leche Flan Cupcake on Wednesdays and Saturdays, you won&apos;t be able to get it on other days of the week. Depending on the day you go, you may be able to snag Halo-Halo Bread Pudding, Ube Cake Truffles, Ube Crinkles (cookies), Ube Butter Bars and Ube Crack Cheese Cake. That&apos;s part of the beauty of it, that you&apos;ll have a new culinary adventure each time you visit. Think of it like a Pokemon "Gotta Catch &apos;Em All" situation...for desserts. Cafe 86&apos;s new White Chocolate and Ube Bar is easily one of my favorites of the lot. 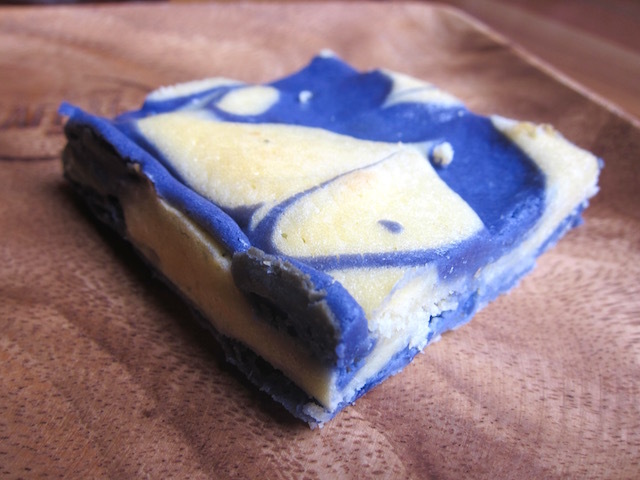 The soft and creamy, brownie-textured bar has gorgeous purple and white swirls, and is the perfect balance of flavors. 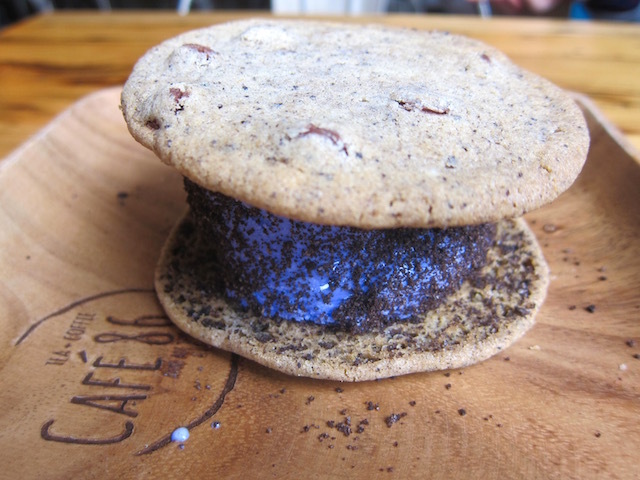 There&apos;s also their ube ice cream sandwich, which has Oreo cookie crumbles surrounding the ube ice cream, sandwiched between two chewy chocolate chip cookies. This one is a huge dessert and a little difficult to eat, whether it&apos;s putting the whole sandwich straight in your mouth or trying to cut through the cookie with a knife. I would have been happy just getting a bowl of the ube ice cream on its own, which is already tasty and half the mess. If ube in dessert form isn&apos;t enough for you, they also serve it in drinks, like their Ube Latte and Ube Monster Milk Shake. The milk shake is an icy and creamy ube, with Oreo cookie crumbles lining the bottom of the cup and sprinkled on top of the whipped cream (and yes, always ask for whipped cream because YOLO). To keep up with what special desserts Cafe 86 is offering on a daily basis, follow their Instagram. And as an extra bonus, you can order their drinks and desserts ahead of time for pickup via their website. 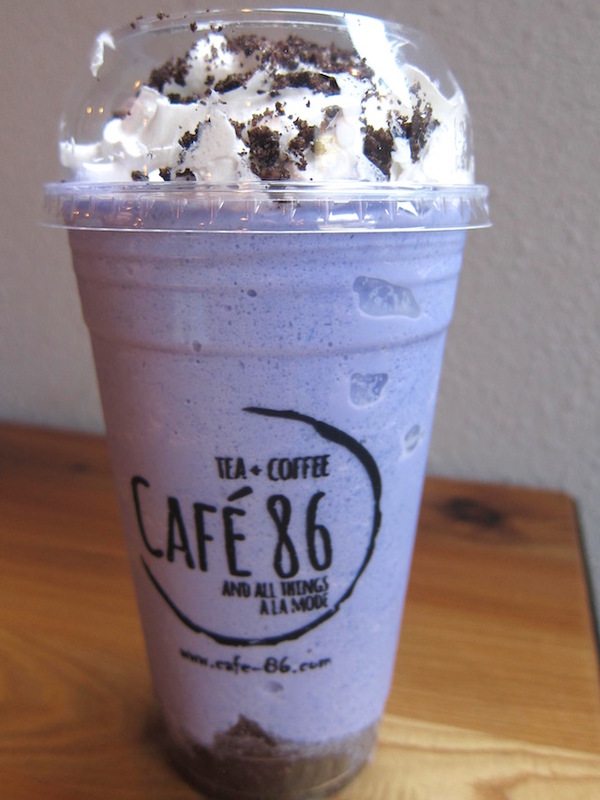 Cafe 86 is located at 36 W Colorado Blvd. in Pasadena, (626) 219-6915; and 4110 Edison Ave. Ste 109 in Chino, (909) 590-2886.